For the last few years there has been a great build up to 12-21-2012, the year of the Mayan Apocalypse. The world is going through catastrophic changes in weather, signs of the times, like earthquakes, floods, super storms, and disasters at an unprecedented scale. Many are making preparations for the end of the world, the Apocalypse. Preparations have included Preppers storing provisions, building or buying bunkers, and all the way at the other end of the spectrum, openly welcoming a titanic change in the world we know. 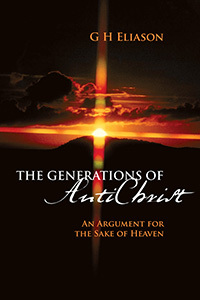 Surviving Armageddon; The Sealed Books are Open– is the book that definitively shows the family name of Anti-Christ without all the acrobatics, and juggling of Scripture normally associated with this. The largest problem and stumbling block has been trying to pull or manufacture a name out of 666.